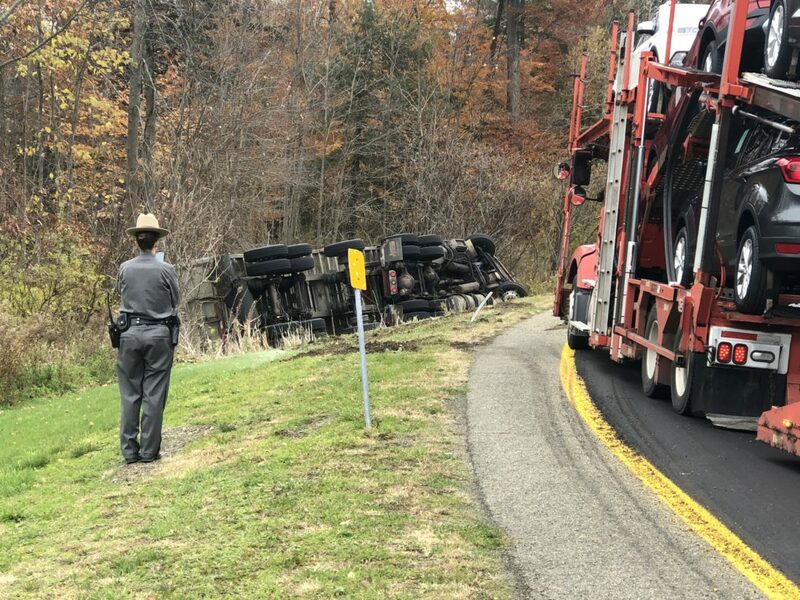 BEMUS POINT — A tractor-trailer rolled onto its side in a crash Thursday. The crash occurred before 11 a.m. at the Interstate 86 on-ramp at the Ellery Overlook Rest Area. The driver, who was alert, was trapped in the semi for more than three hours. A medical helicopter was called to scene. A portion of the semi’s load spilled in the rollover. According to Greg Scott, county battalion chief, the truck was hauling chicken feed. The rest area was closed to traffic.